Add a large portion of snow, an equal amount of mountains and a dash of our favorite avalanche rescue dogs, and we found the perfect ingredients for a smile! Everyone loves these four legged and furry friends that keep us safe during the winter. But did you know these interesting facts? 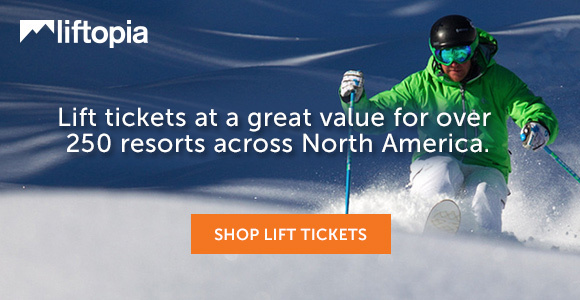 Buy lift tickets in advance on Liftopia.com and save. ● The original avalanche dogs, St. Bernards, were used by 18th century Monks living in the Alps between Italy and Switzerland. In 200 yrs they rescued more than 2,000 men, women, children and soldiers. ● Breeds like Labradors, German Shepherds, Golden Retrievers (including cross-breeds) with a strong hunting drive are usually great rescue dogs. ● One dog can search a hectare of avalanche terrain (which takes a human 4 hours) in only 30 minutes. ● Most avalanche dogs start training at 6-12 months of age. ● While friendly and cute – rescue dogs are working, not socializing unless the handler indicates so. Handlers work to guarantee the dog’s attention will be focused on two people only: the handler and the victim. Below are some of our favorite Avalanche and Rescue Dogs from the 2016-2017 Winter Season! yea Jiggs! supported the avy dog fundraiser last week in downtown Ogden, UT. March 23rd, was my birthday too! Thanks for supporting these four legged heroes & happy belated!